I had the pleasure to be invited to join the Blogger Meetup organised by publisher Sanoma Media during the Woonbeurs in Amsterdam. 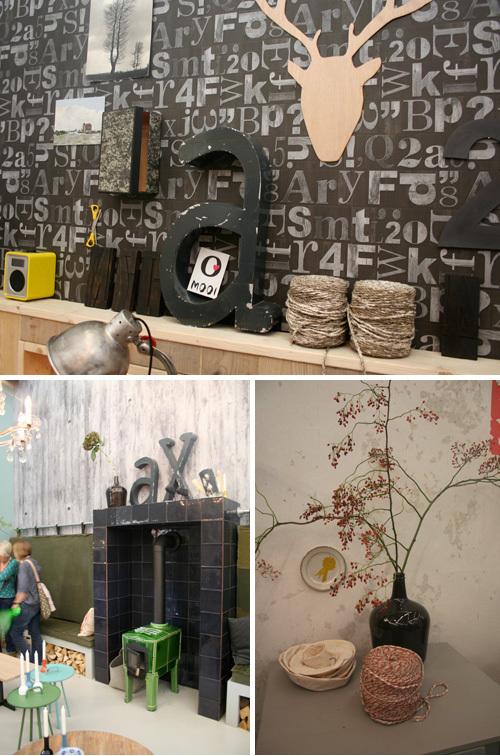 Last Saturday around 30 Dutch bloggers got a special tour around this home design fair. During this yearly event design labels and companies (small and big) are showcasing their latest products. 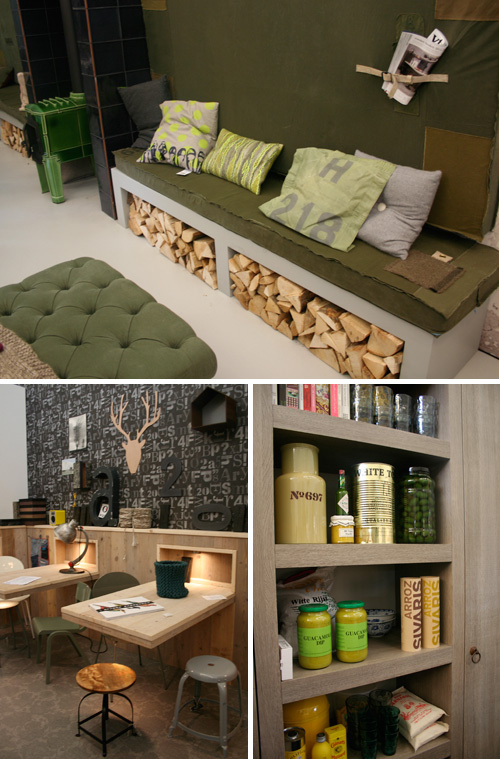 Also all Dutch interior magazines are present with a booth which is actually a house, decorated in the latest trends and in the style of that particular magazine. Kirsten Jassies, content manager Home Deco at Sanoma Publishers, took us around the fair introducing us to the various houses. 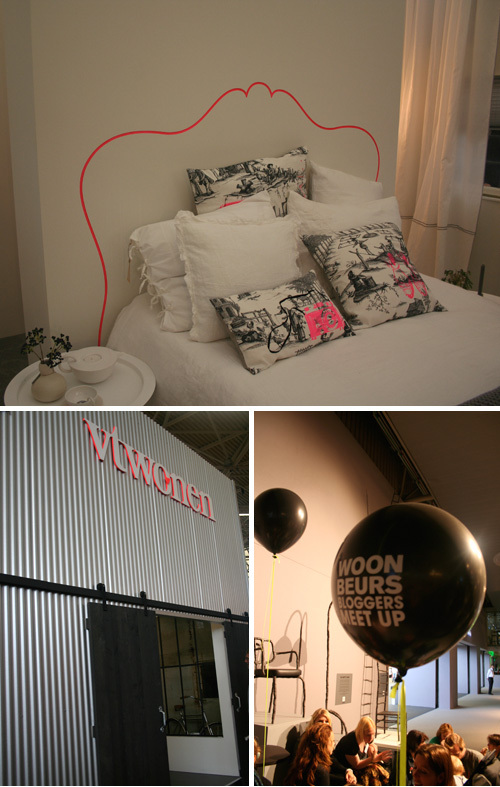 Today I am showing you the VT Wonen house where we were greeted by VT Wonen’s head editor Monique de Ruiter. 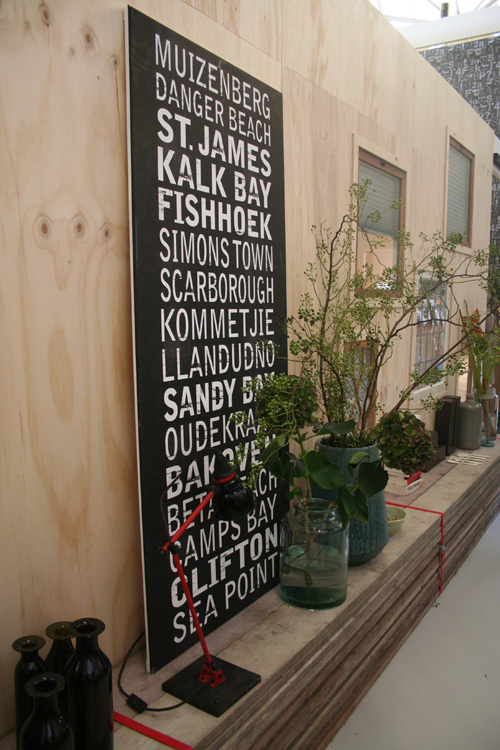 The VT Wonen booth/house was designed by VT Wonen stylists Frans Uyterlinde and Fietje Bruijn. If you have any questions about the products featured in these images let me know and hopefully I can give you a bit more information. The beautiful cushions on the bed below are from Le Cerise sur le Gateau. More posts about what I have seen on the Woonbeurs will follow in the coming days, so stay tuned! 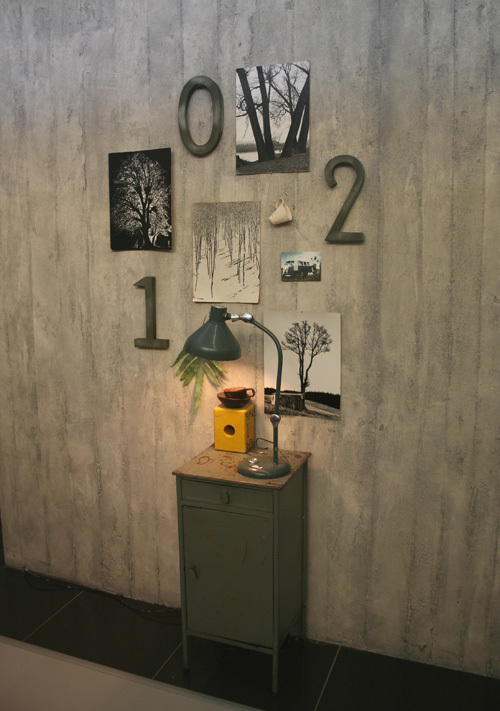 Where did that amazing looking wood block type wallcovering/wallpaper come from? I am curious to know, thanks! 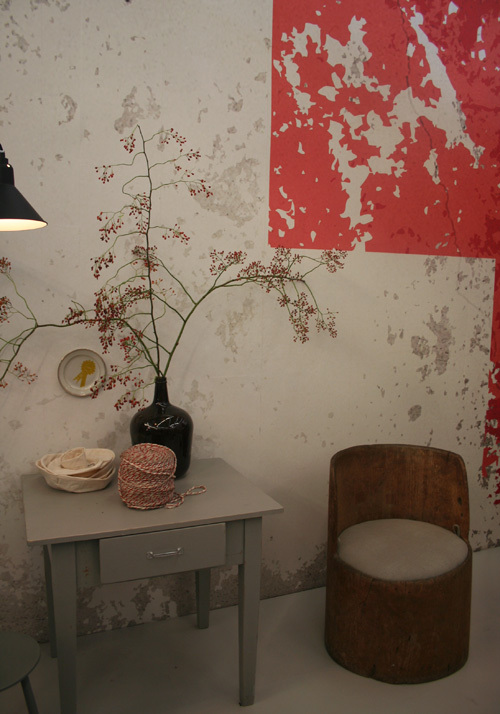 Hi Ashley, The canvas wallcovering is from From Africa with Love (www.fromafricawithlove.nl). I love that you all got together and did something fun! Wat was het weer super he? Weet je nog dat ik je tijdens Meet the Blogger vertelde dat ik een stukje over The Style Files had geschreven voor het woonboekje Enjoy-mooi wonen (van mo’media). Dat boekje ligt nu in de winkel. Hoop dat je er blij mee bent.